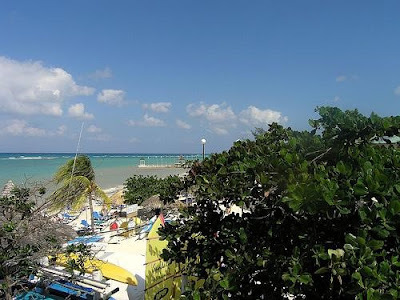 Montego Bay is perhaps one of the most beautiful locations in the Caribbean. Situated on the northwest side of Jamaica, it offers incredible views of the waters to the north and mountains covered in trees to the south. Both land and sea are lush, as the waters are filled with beautiful coral reefs for snorkeling, and you'll see incredible flora on the shores. There's plenty to like about Montego Bay that'll have you returning again and again for an incredible experience. Montego Bay is full of public and private beaches, but some of the private beaches are accessible if you pay a small fee. One such private beach is Doctor's Cave Beach, which is a short drive from the airport. The advantage of paying an entry fee is the ability to enjoy the clean, white sand with plenty of space for lounge chairs. Dump-up Beach is another pretty beach despite its unappealing name. It got this name from an expansion project back in the 1970s. It's owned by the government and is open to the public. It's also known as a local hangout, which means you're more likely to experience some local flavor here. Jamaica is home to more than just sandy beaches. To plan a day in Montego Bay, you should explore a little further. The area's history goes back hundreds of years, and remnants of its days as plantation country dot the landscape. Rose Hall and Bellefield Great House are two that offer tours of the mansions and the surrounding landscape. For a more immersive experience, check out Good Hope Estate and explore amenities like river tubing and zip-lining. Animal Farm and Nature Reserve is home to native birds and animals and a biogas generating plant. It has an aviary where visitors can hand-feed the residents, along with an herb garden with plants that are labeled with their uses. When nighttime rolls around, head over to Glistening Waters' Luminous Lagoon for an experience you can't see during the day. The lagoon is full of phosphorescent microscopic organisms that glow when they're disturbed. The organisms glow with a blue light and make the water glow. Don't miss this! Duffers will find plenty to love, thanks to the plentiful golf courses found in and around Montego Bay. The greens are beautiful and have mountainous backdrops on one side and views of the sea on the other. Check out the links on the White Witch Golf Course located at Rose Hall. It gets its name from local legend and historical plantation owner Annee Palmer. It's the top-rated golf course in Jamaica, and it challenges players with its rolling links. Montego Bay is the jewel of Jamaica with its historical sites, white sand beaches, and outdoor activities. It's a place to unwind on the beach, explore the nature reserves, do some hiking, or simply take in the beauty of the Caribbean. I have never been to Jamaica and would love to visit Montego Bay both for the white beaches and the historic sites.